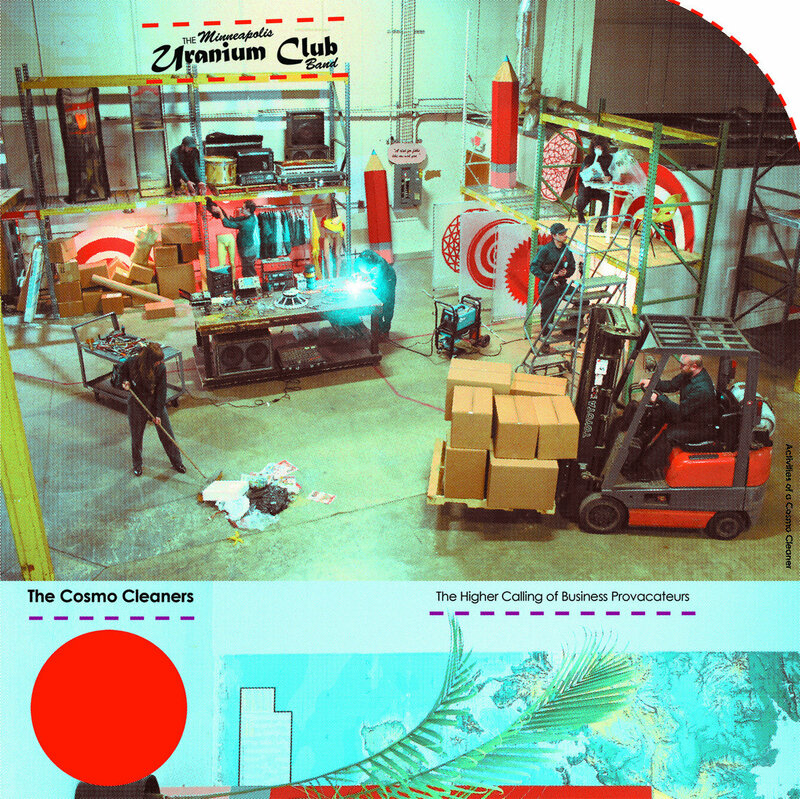 At the end of last year, Uranium Club released their latest album, The Cosmo Cleaners. Another hilarious and excellent album by the self-termed “fashionable idiots”, somehow it matches the power of their previous record All Of Them Naturals, an awesome, hard release to follow. This new set of songs feature a nicely blended mix of serious and fun punk with aggressive and silly sounds possibly made during first take recordings? The hilarious monologues mid-album are still there (thanks, Michael). Now to focus on the 10 minute + closing track, “Interview With The Cosmo Cleaners”. Beginning with a dramatic piano/guitar build and a repetitive bass, a sarcastic voice dictates the story of what is assumed to be one of The Cosmo Cleaners. “I don’t see a future. I don’t see a future”. The life described seems bleak and our narrator(s) explicate in a most bored, no future punk voice. Then all of a sudden, the guitar picks up and the band follows in a jangling, undeniably uplifting way… The album ends without a word of positivity, but the music let’s the listener know that Uranium Club maintains its lighthearted side and that there will be more to come from these fashionable idiots.